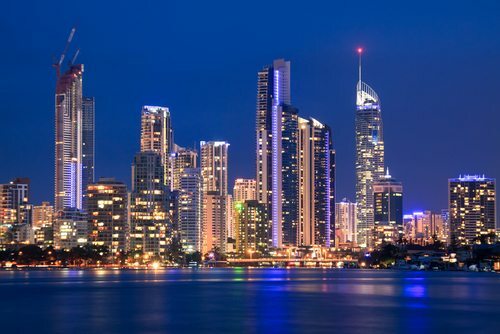 The Gold Coast is much more than just a sun-tanned, blue-eyed pretty face. In recent times, it’s been quickly earning its stripes as one of the finest places for foodies to visit on their trip down under. Late last year, a number of Queenslands restaurants were recognised at the 2013 Savour Australia Restaurant & Catering HOST PLUS Awards for Excellence, and Videre Restaurant at RACV Royal Pines Resort in Benowa was crowned Gold Coast Restaurant of the Year . The Consumer Vote Award was also given to Hatsuhana Restaurant in Main Beach. Yum Cha Noodle Haus at Surfers Paradise was also nominated in the Asian Restaurant category as was Domani’s Café Restaurant Bar at main beach. Domani’s ended up taking out the top position as winner in the cafe restaurant category. These are just a few of the award winning establishments located on the Gold Coast. At the Good Food Guide Awards held earlier in the year, The Fishhouse in Burleigh Heads won one of the major awards for Regional Wine List of the Year. If fine dining is your thing, you must check out one or a few of the restaurants on the Gold Coast that were awarded one or more hats in last year’s brisbanetimes.com.au Good Food Guide. In fact, 9 of the 45 restaurants who were awarded hats were Gold Coast venues. Allure at Currumbin, Little Truffle at Mermaid Beach, and Ristorante Fellini at Main Beach are a few worth marking on the ‘to do’ list. One of the latest additions to the Gold Coast’s bubbling food scene is Two Brothers located at Nobby’s Beach. It’s not only great for a sit-down meal but they also offer some excellent takeaway options too. Owners and brothers, Jason and Benjamin White aim to build a reputation for having the best fish and chips on the Gold Coast. Open for lunch and dinner, it’s a new hot spot that’s taking off already.